It's a common question when the real estate market is shaky: "How long after foreclosure can I purchase a home?" The answer is a not-so definitive "It depends." Defaulting on any loan can have a huge impact on your credit score, but defaulting on a home loan presents even more limitations when you are ready to start borrowing again. Most mortgage lenders are apprehensive about approving mortgage loan applications for people with foreclosures on their credit histories, especially when the foreclosure is relatively recent. After all, a foreclosure basically tells lenders that you have a history of promising to repay a large debt and then walking away. Regardless of the circumstances surrounding your foreclosure, it is highly unlikely that you will be able to get approved for a home loan at any interest rate for the first few years after the foreclosure. In some instances, you will have to wait seven years before you will be able to get approved for a mortgage loan after experiencing a foreclosure. The reason for this seven year waiting period is due to mortgage loan approval guidelines set by Fannie Mae. Many lenders adhere to Fannie Mae standards because the lenders want to opportunity to eventually bundle several mortgages together and sell them to Fannie Mae, but if a loan does not conform to Fannie Mae standards then it is not eligible to be packaged and sold. Fannie Mae standards state that homeowners who encounter foreclosure are not eligible for mortgage loan approval for a period of five to seven years. The time a person must wait to apply for a mortgage loan may be lessened to a minimum of three years when the foreclosure was a result of certain circumstances that are deemed by Fannie Mae to be beyond the homeowner's control. Such instances include the death of one of the homeowners or a job transfer that forces the homeowner to move and go into foreclosure after the home does not sell within a reasonable amount of time. These circumstances must be documented and approved by Fannie Mae, and not all circumstances beyond homeowners' control are covered. Homeowners lose their homes in ways other than regular foreclosures. For example, a short sale or a deed-in-lieu of foreclosure -which are both methods used to release homeowners from their mortgage obligation- also come with restrictions on how quickly a person can obtain another mortgage loan. Again, certain circumstances may lessen the amount of time potential borrowers must wait to obtain a new mortgage, but generally, people in this situation will find themselves unable to obtain a new mortgage loan anywhere from two to seven years. Lenders that do not adhere to Fannie Mae standards may be willing to accept and approve a mortgage loan application from someone who experienced a foreclosure in the somewhat recent past. Look to subprime lenders offering mortgage loan products that cater to people with credit problems including foreclosures. Do not be surprised if your mortgage loan application is denied by more than one lender before you find one to approve you. You may want to consider utilizing the services of a mortgage broker specializing in subprime mortgage loans in order to increase your chances of getting approved. Taking steps to increase your credit score may increase your odds of eventually getting approved for a mortgage loan when you are eligible to apply. A substantial down payment may also increase your odds. Although these steps may increase your chances of someday getting approved, be prepared to explain the circumstances surrounding your foreclosure to your potential lender. 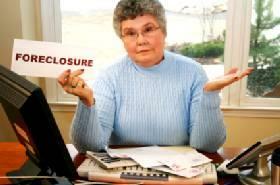 Above all, make sure you are financially prepared before getting back into a homeowner situation after a foreclosure. Whether or not you can afford a new loan is just as important as the question of "how long after foreclosure can I purchase a home?"